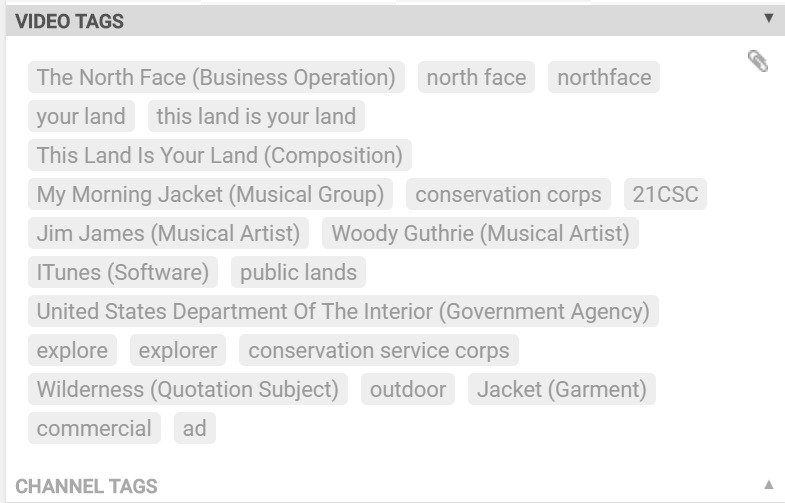 The video we've selected for this example is The North Face's "This Land" video. 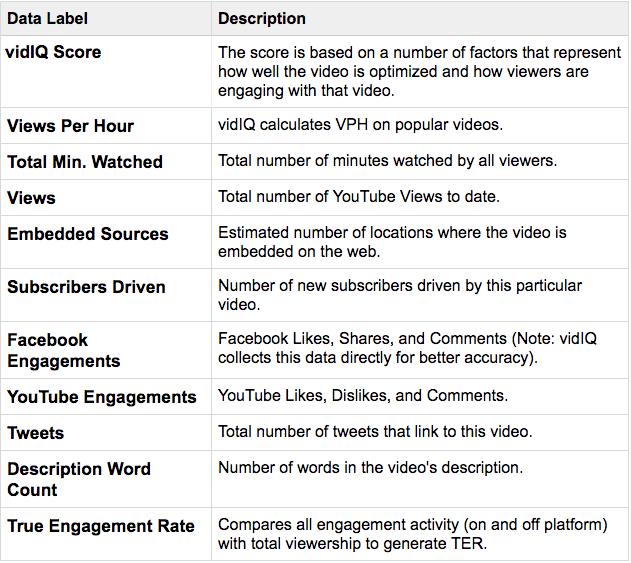 Even with the vidIQ basic extension, you have access to a ton of metrics that help provide you with the "big picture". In addition to statistics, you can also see the video's keywords. This is a great tool for creators looking to generate similar content. Borrowing keywords from successful or trending videos can help you capture some of the traffic and drive more viewers to your content. 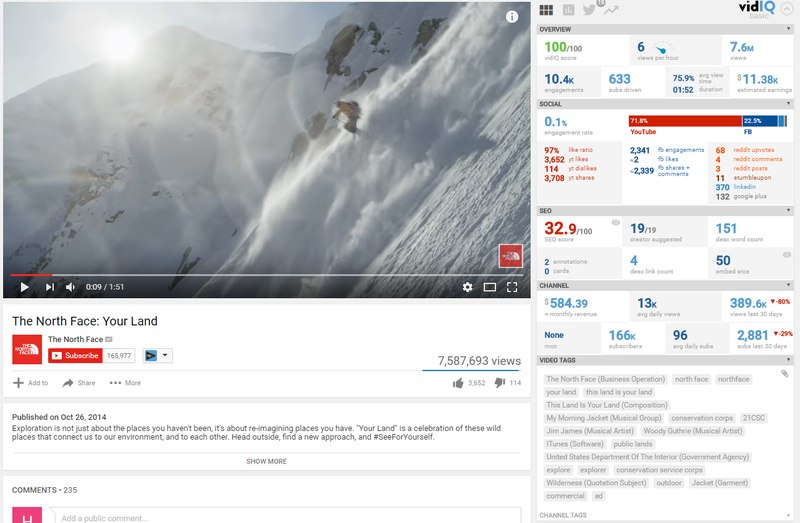 Now that you have a basic understanding of the chrome extension, let explore Monitoring Your Channel and Videos.